24. 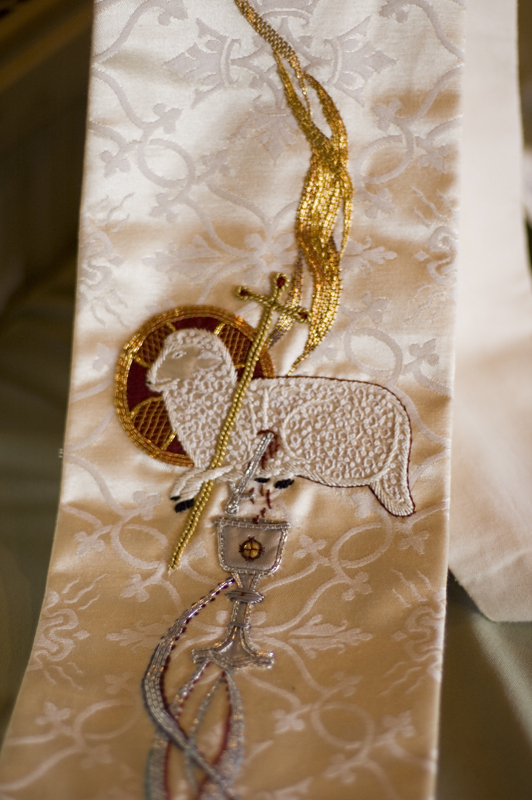 Ordination stole. Lamb symbolising Christ crucified. The embroidered silk threads continue into a handmade tassel. Made for Dvid Gilmore, 2003.